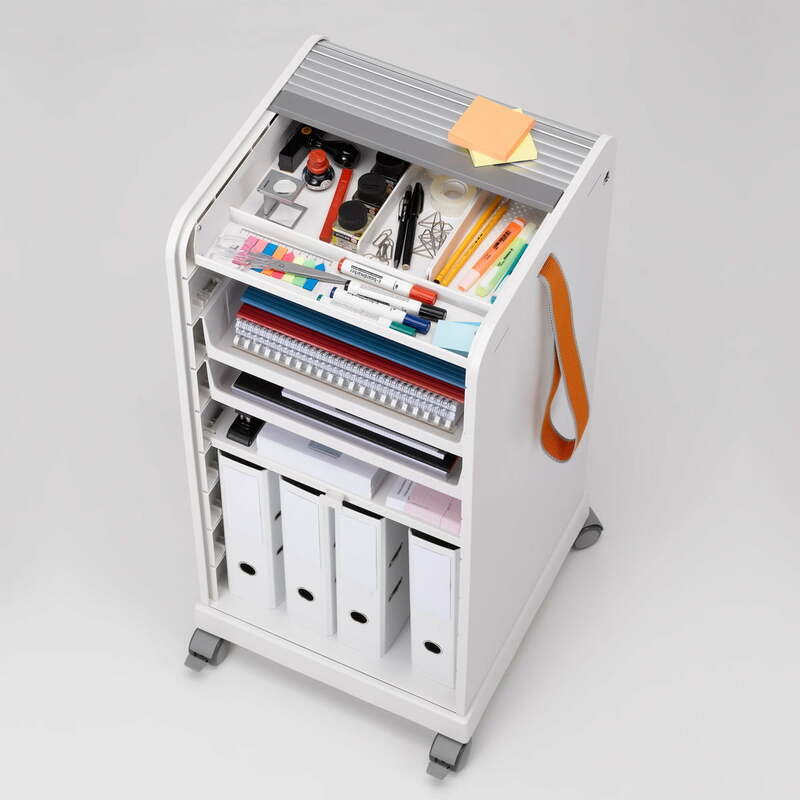 The Ad Hoc Follow Me roll container by Vitra facilitates everyday work many times over. 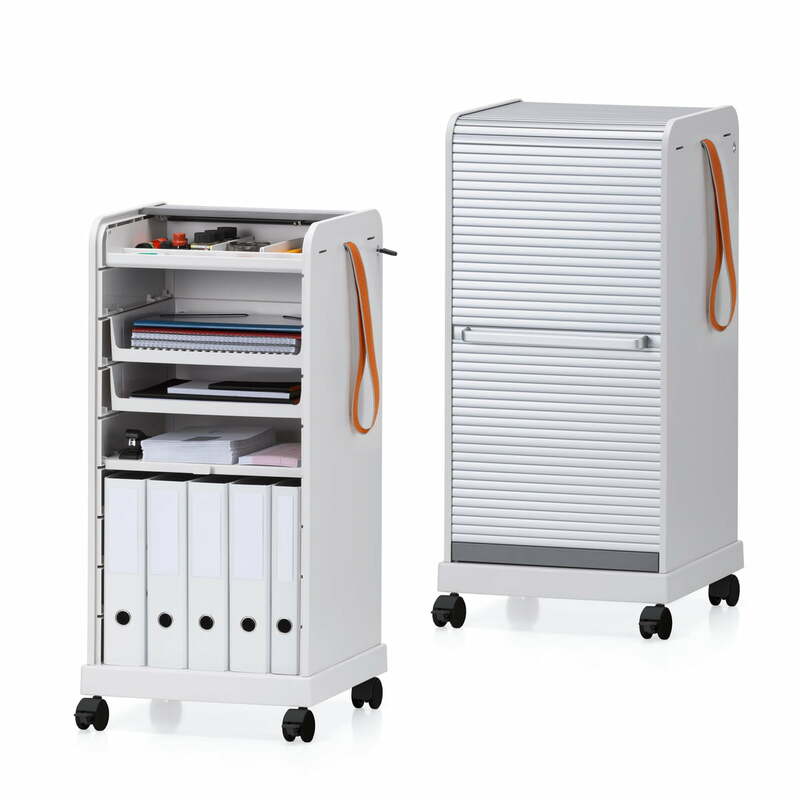 All relevant documents can be stored and locked in a stylish roll container. 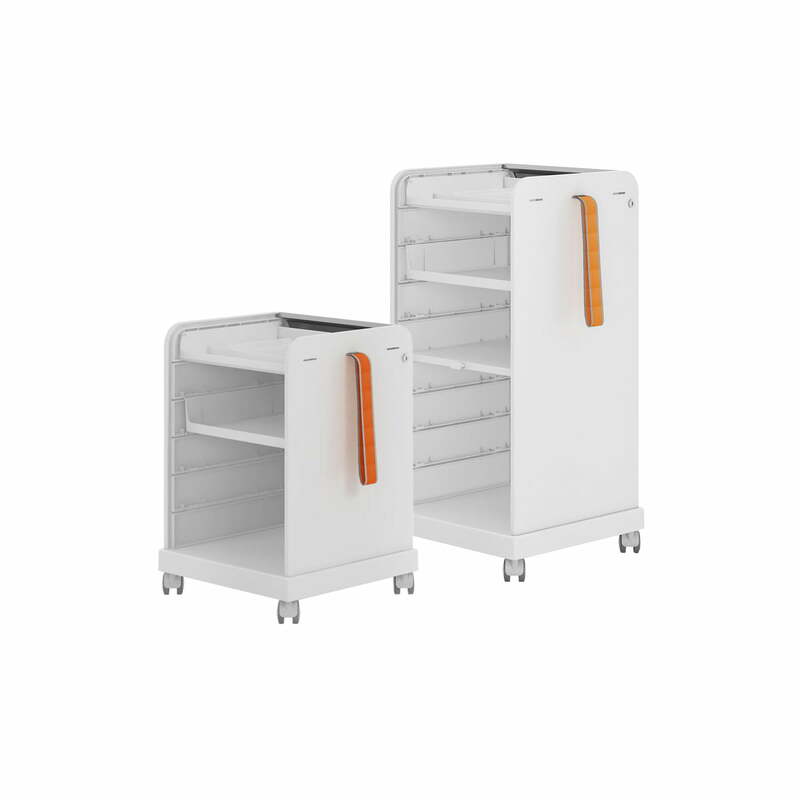 In two different sizes, the trolley can be individually equipped with one or more drawers. 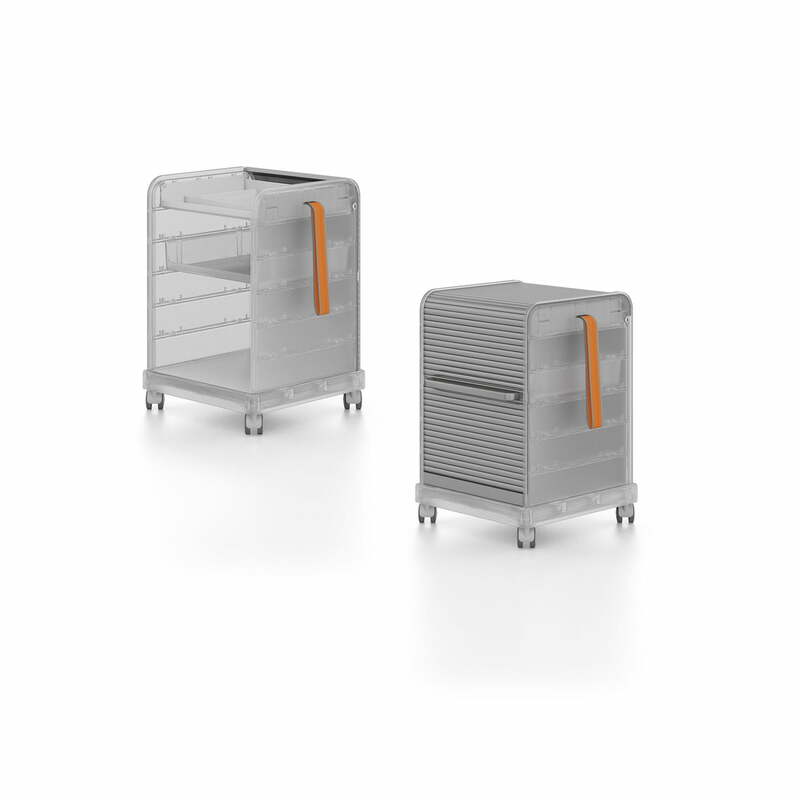 The cart Follow Me is a robust trolley - both for the office as well as for the use at home. Several folders can be kept in the lower compartment and in the storage compartment above is space for pens, documents and personal belongings. 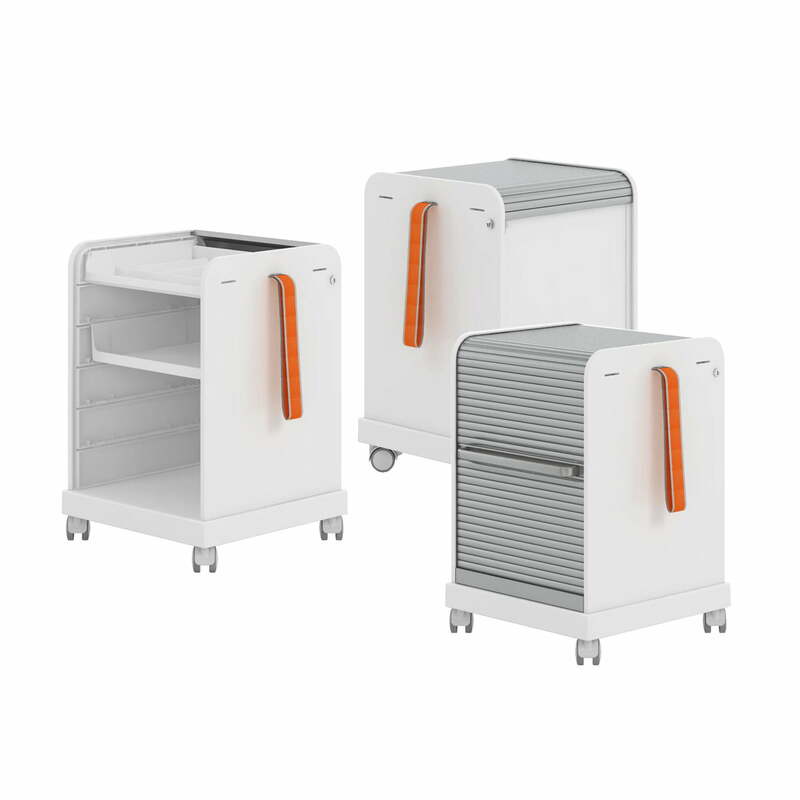 You can optionally modify the trolley with pen trays, drawers, and shelves that can be added to modify it to your individual needs. 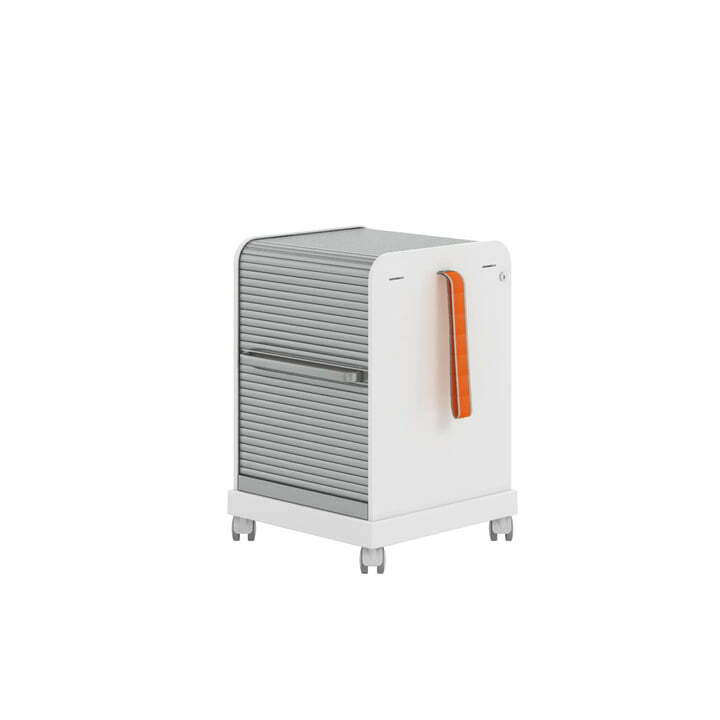 The lockable roller door let’s everything disappear, if necessary. The pull strap and the four wheels under the trolley enable it to be moved quickly in order to make room, if required. 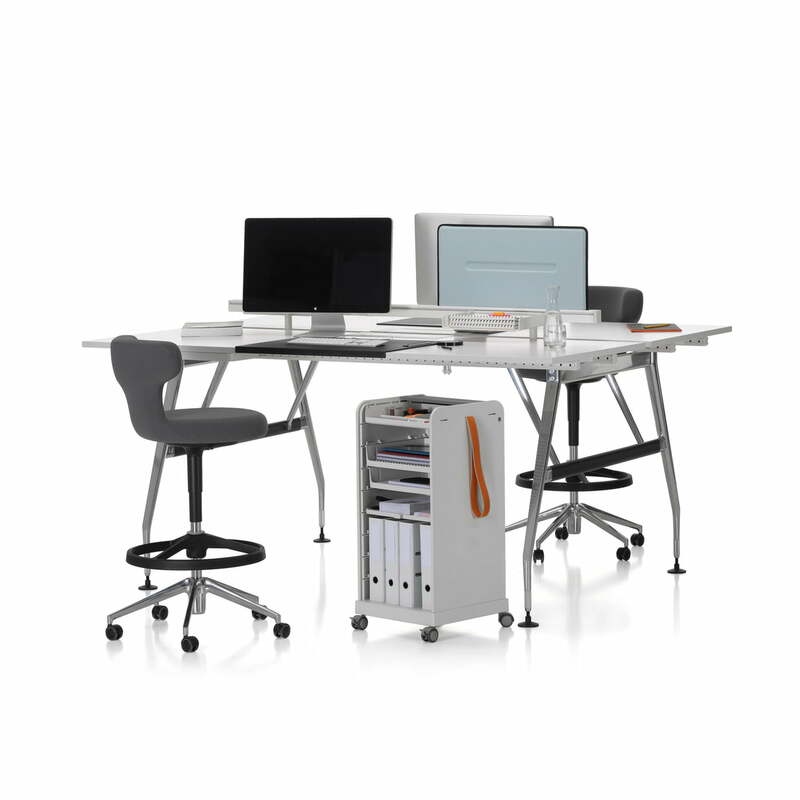 The Ad Hoc Follow Me 2 trolley by Vitra offers enough space for all important facilities at the workplace. Regardless of whether for ring binders, writing tools, books and other documents.